Are you looking for a spectacularly beautiful place to make cherished memories? How about a newly-renovated historic Italian villa with scenic views in every direction? 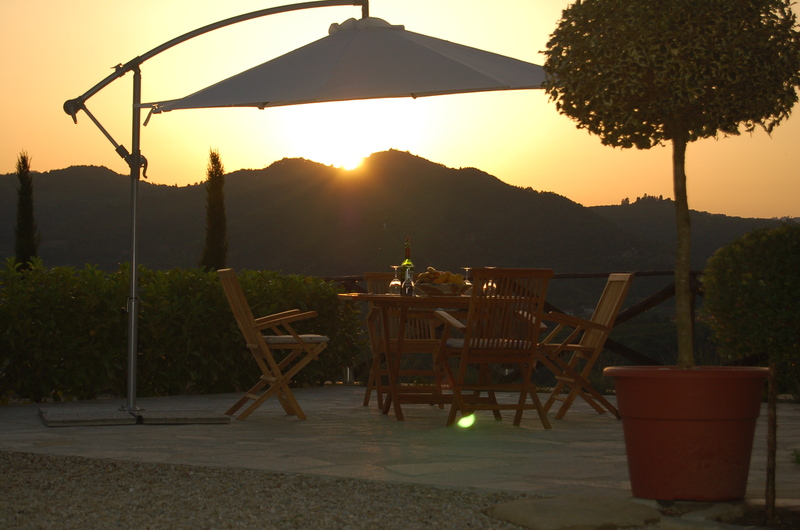 Come stay at Villa Bergolo, a romantic self-catering retreat. Built more than 100 years ago as the farmhouse of a hazelnut plantation, Villa Bergolo is now a comfortable, gracious north Italian guest house with a host of modern conveniences. The privately owned villa has been renovated to a high level. Beautifully furnished and with far-reaching views out across L’Alta Langhe, Villa Bergolo has been restored with deep love and attention to details. Come and fall in love with the beautiful Piemonte region of Northern Italy (you can even see the Alps on a clear day). 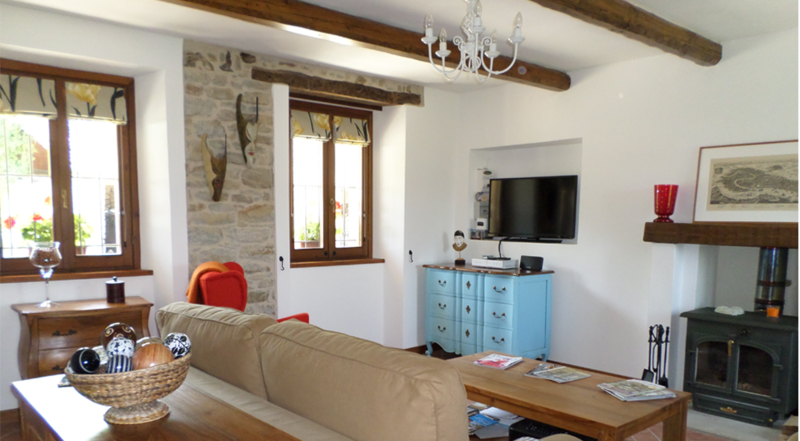 1st April to 17th December 260€ /day 1,820€ /wk. The large kitchen has a fridge freezer, fridge, dish-washer, and large gas cooker-with 5 hobs. The rest of the kitchen is fully equipped with everything you need, including a toaster, kettle, microwave, plates, cups, glasses, cutlery, table clothes, and tea towels. The family dining table seats 8 comfortably. The living room has a double sofa bed, with large armchairs, a T.V, a lamp, and throws to snuggle up on the sofa with. Upstairs there are three large double bedrooms all with their own en-suite. Each bathroom has its own hairdryer, hand soaps, toilet paper & fluffy towels. The furniture in each bedroom was custom made for Villa Bergolo and for each room’s theme. All the beds have their own freshly washed sheets, pillows and duvet. Each bedroom has a TV and Wifi. The basement has two washing machines, one is average size for a small wash load, and the other is extra-large for a large wash load. Washing line & rotary line outside in the forecourt. The grounds The garden boasts – a fair size swimming pool, a private terrace to sit around and sun bathe, relax or chat. The grounds provide room to play games like-swing ball, or bat & ball games. There are sun loungers, deck chairs, a barbecue, children’s games. Villa Bergolo is child friendly. We do allow dogs, but please ask first. We do not allow smoking in any part of the house, but there are plenty of places to smoke outside. The house comes with a house-manager whom you’ll only see if you need him. He respects your privacy, but is there if you need any help. He’ll be maintaining the gardens and keeping the pool clean for you. 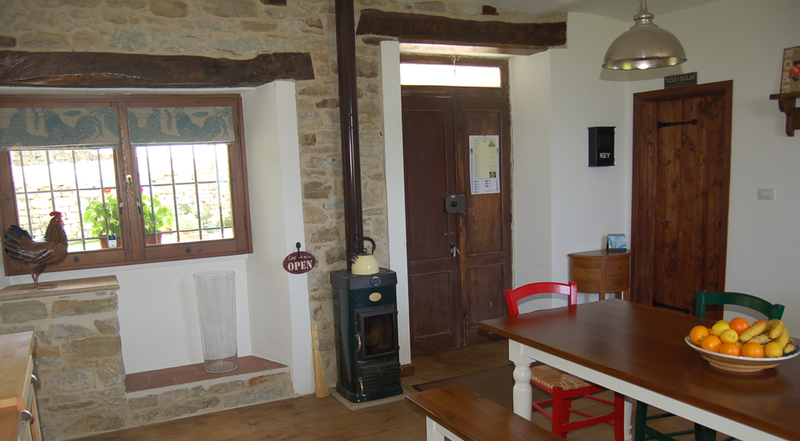 We live in another part of the same Farmhouse / Villa, though the two properties are separated by a stone internal stair case. We believe this helps Vila Bergolo stand out above other properties as it means we are able to provide a higher level of service than you would usually expect. We can help you plan walks and bike rides, advise you on days out, book restaurants and help you with wine tastings. But we still totally respect your privacy and you will only see us if you need us or the pool is being cleaned & the grounds being tended. We both share the same entrance to the Villas forecourt, we park our car in the garaged and the rest of the forecourt is yours.